the peace and grace of our Lord Jesus Christ be with you all! six years. With the blessings of His Excellency Bishop Samra, the Shepherd of all Melkites in the United States of America, and after six long years of challenges, hard work, and faithfully waiting for God's grace, now we have an approved and signed preliminary contract on 4.5 acres of land conveniently located at 8955 South Braeswood Blvd, on the intersection of Highway 59 and Beltway 8 in Houston zip code 77074. Beloved, first we praise and trust our Lord, he who provides for all his creatures, that he will provide for our mission. Second, we count on your generosity, kindness and willingness to give back to your Lord some of his blessings to build his house, your first Melkite church-- the church your children and their children will call home for generations to come, and rest assured that God will reward you back abundantly. "Give, and it will be given to you, a good measure, pressed down, shaken together and running over, will be poured into your lap. For with the measure you use, it will be measured to you." (Luke 6:38). With an approved signed contract, our community is now on a timed schedule of 90 days to raise the funds to offset the cost of the land. Beloved, the ball is in your court! Now is the time where all Melkite faithful are expected to step up to the plate and prove to our Lord Jesus that they will invest the money he granted them in the most productive way so that they earn their space at his table and in heaven, as well as engrave their memory on earth for ever and ever, amen. 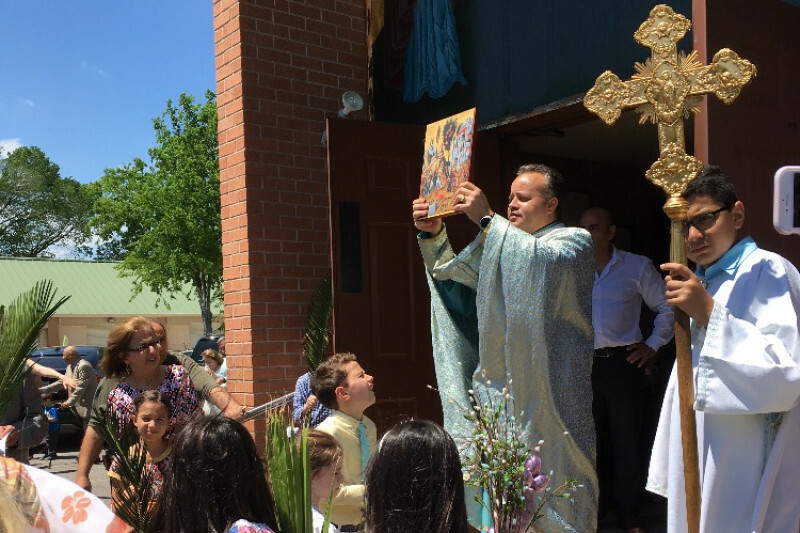 St. Barbara Melkite Mission has officially launched The Saint Barbara's Ears of Wheat Fundraising Campaign for the sole purpose of raising funds to offset the cost of the land where our future church will be built. Please note that the four levels established above are symbolic only; all contributions, small or large, are greatly appreciated. Each donor's name will be written on a donor panel and kept in the church records forever as well as being recorded in the Kingdom of Heaven. Please consider this letter an official invitation to begin contributing and to invite contributions from friends, neighbors, and relatives whom you believe will be interested in helping our holy cause. Last, but not least, each donor will receive a tax-deduction statement for tax purposes. May God bless you all in fulfillment of his will and to the glory of his name. Later, I will post a little bit more about our community in particular. A sincere thank you to all who have donated to our cause! Because of your generosity we have made a solid beginning. In accord with GoFundMe's recommendation, I want to make clear who I am and for whom this money is being raised. My name is Andrew Hayes. My wife and I are among the founding parishioners of St. Barbara Melkite Mission in Houston, TX. Abouna Fadi, our pastor, has tasked us with organizing this online portion of our campaign, whose purpose is to raise funds for the purchase of land on which we may construct our own church, the first Melkite church in Houston. All funds raised in this campaign will go to the account of St. Barbara Melkite Mission. Thanks once more to all who have supported us. May God bless you for helping us to sow the seed of faith. The gifts we give to God He gives back to us more than they were before--transfigured by his grace.